I am a slave to spice. I live on Frank’s. Usually dinner is Frank’s with a side of whatever else we’re having. I literally put that **** on EVERYTHING. I also absolutely love Mexican food and Southwestern flavors – hence my obsession with Bobby Flay. And who doesn’t love sangria? 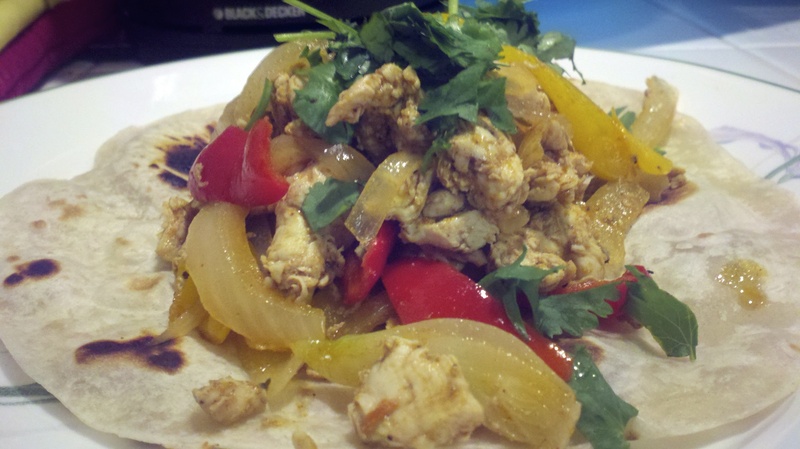 One of the simplest Mexican dishes to master is the fajita, and for drinks, there’s the Spanish sangria. That’s partly because there’s no real formula for either, save a few basic rules, and because anything wrapped in a warm tortilla or with wine and some hot sauce is – in my opinion – worth dying for.